I am delighted to be affiliated with William Pitt Sotheby’s International Realty, the premier real estate brokerage both nationally and internationally. My goal is always to represent my clients with integrity, a high energy level and an unwavering commitment to not only meet their real estate needs, but to exceed their expectations of what their agent should provide. My husband and I moved to New Canaan over 30 years ago, and we have never regretted that choice. As a native New Yorker, I frequently travel into Manhattan to enjoy all that such a vibrant city has to offer, but I love calling New Canaan home. I believe that my background uniquely qualifies me to represent my clients with a high degree of professionalism. I am an attorney admitted to practice in Connecticut and New York, and although I no longer practice law, the knowledge I gained from my practice--which was primarily related to the areas of real estate and land use--enables me to provide my clients with an enhanced understanding of real estate matters. I hold a B.A. from Sweet Briar College, an M.A. from the University of Virginia and a J.D. from Pace University School of Law, and I am a Certified International Property Specialist--a designation awarded by the National Association of Realtors®. I am fluent in Spanish and continue to improve my conversational French through my membership in the Alliance Française. I have held numerous board and committee positions in local organizations over the years—particularly those relating to the New Canaan Public Schools and our senior residents. I currently serve on the Board of Directors of the New Canaan Board of Realtors and Staying Put in New Canaan, Inc. I am also a member of the Rotary Club of New Canaan. 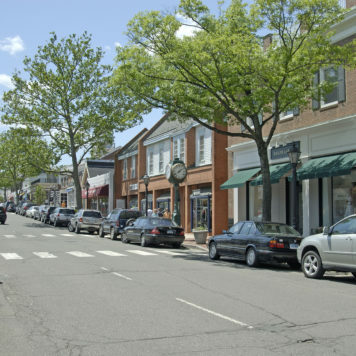 If you are considering moving to New Canaan or one of the other outstanding nearby towns in Fairfield County, I would be delighted to introduce you to all that this area has to offer its residents. If you are thinking about listing your home for sale, I would value the opportunity to review current market conditions with you, to provide you with a market analysis of your property and to describe the powerful resources available to you as a seller through the William Pitt Sotheby’s brand. Along with being completely professional Kathy was a very caring person. I am in my 90's and handling this move by myself. She was always available to be of help and answer any questions and has continued to stay in touch. I could not have asked for a better person to represent me. My wife and I have bought or sold 10 houses in the past ten years. We have NEVER met a consummate professional the likes of Kathryn. No one could be more conscientious or more focused on her objective to make us high trust clients. She exceeds every expectation and breaks every preconceived notion we've ever held about the real estate sales community. She deeply cares about her clients, she brings the training of an attorney and makes you feel like you're her only client. What a pleasure it is to work with Kathryn. She knows how to represent clients in the negotiation process, she studies the engineering concerns with a property and is totally consumed to provide the best advice she can. We have become RAVING FANS and I've never met her. She sets the bar high for others around her. Kathy worked tirelessly in a challenging real estate environment to get us a result we're very happy with. 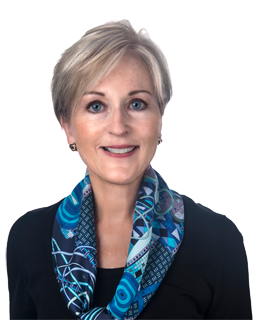 She has a background in real estate law and has an intimate knowledge of Fairfield County. Without a doubt she had our best interest in mind every step of the way. Kathy is knowledgeable, professional and a pleasure to work with. We highly recommend Kathy.